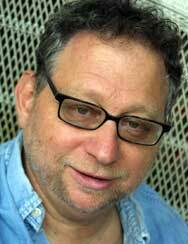 ABOUT THE AUTHOR  DANNY SCHECHTER, author of the book, Embedded: Weapons of Mass Deception and the documentary film WMD: Weapons of Mass Deception is a television producer and independent filmmaker who also writes and speaks about media issues. He is also the author of Media Wars: News At A Time of Terror (2002) The More You Watch, The Less You Know (Seven Stories Press) and News Dissector: Passions, Pieces and Polemics (Electron Press) and he is executive editor of MediaChannel.org. He has produced and directed many TV specials and documentary films and, with Springstein guitarist Little Steven Van Zandt, he produced SUN CITY, the hit record and video featuring 54 top artists speaking out against apartheid. He was a producer on the Nelson Mandela concert in London in l990. The week of the great Gaza disengagement is over – and what did we learn? We learned that even a rightwing government in Israel is capable of taking initiatives for peace as well as for war, And that its army and police can act in a disciplined and non-violent manner despite a history of complaints of excessive force and human rights abuses We learned that Israel is as divided as the United States, fragmented along many political and religious faultiness. What's the best way to support our troops? When John and Yoko sang “war is over,” they added “if you want it.” It was a plea for peace, a call to “stop all the fighting.” It was written in l972. That war did not end for three years. In l995, Ward Cunningham, a pioneering Portland, Oregon-based software engineer, had an epiphany and found a name for it. He had used the web to build a productive community of fellow techies who came up with new ideas through a unique cooperative way of working, one in which contributors could edit, revise and upgrade the work of their peers. It's time for a sequel: "Over Here"
MEMO TO STEVE BOCHCO: Congratulations on getting your new series "Over There' on the air over here. As someone who has been railing about the fictional quality of so much news reporting from Iraq and the 'militainment' that has so distorted understanding of the conflict, it's exciting to acknowledge that the war finally has a show of its own. Remember the “Jersey Girls?” That’s a phrase we haven’t heard in a while, a reference to several New Jersey-based widows who lost their husbands in the attack on the World Trade Center on 9-11. They were ordinary a-political suburbanites, mostly with Republican leanings, who did an extraordinary thing in questioning the Administration’s version of the attack and demanding that their government do so as well. That led, after nearly a year of well-informed, frustrating and persistent lobbying, to the launch of the 911 investigation formally known as The National Commission On Terrorist Attacks Upon The United States. After the G8, what now? "What now?" was all the little sign with a question mark said. It was lost in a sea of much bigger banners with demands for economic justice for Africa. Only one marcher clutched it in a crowd of over 200,000 rallying to Make Poverty History in Edinburgh, Scotland, just down the road from where the G8 leaders were to meet later the next week. I am watching telly as they say here, tuning into Live 8, live from London’s Hyde Park, with Robbie Williams once more rock, rock, rocking us as we flash back and flash forward with another mega-rock show for a big cause. Suddenly, the words “exit strategy” have entered into the popular discourse. 41 Congress members have formed an Out of Iraq caucus. Four, including two Republicans, are proposing a Congressional resolution to set the date. More newspapers and opinion columnists are mouthing the words that were downright unacceptable or even treasonous in last fall’s Presidential election. Will African poverty become history? Before the telegraph and the phone and the satellite, Africans communicated through a people’s technology, the drum. Today, the e-mail list and the Web have become the world’s new drum, modern communications tools that operate outside or in the shadows of the glare of the Big Media circus. It’s these new drummers that have made African debt the issue it is, not governments or media outlets. The National Conference for Media Reform held last week in St. Louis was a smashing success in generating the momentum that the organizers from Free Press hoped for. Bill Moyers’s powerful sermon of a speech during the closing session on Sunday morning was aired on C-SPAN and hurtled through cyberspace faster than that proverbial speeding bullet. What would the makers of the MGM classic “Meet Me in St Louis” think of the conclave planned next weekend in St ‘Louie’ in that Red State many call ‘Missoura.’? The 1944 movie featured songs by Judy Garland and depicted a slice of America as it awaited the l904 World’s Fair, which heralded the promises of a new century. There is a word missing in most of the coverage of Iraq. It’s a ghost-laden word that conjures up distressing memories that Washington and most of our media prefer to keep in that proverbial “lock box,” hidden away in dusty archives and footage libraries . . . The word is Vietnam. In the old days, the op-ed page of any newspaper was the place set aside for opinion, in part to preserve the myth that the rest of the paper was somehow objective and viewpoint-free. Just as there was supposed to be a “wall” between the business and editorial functions in media organizations, the editorial pages were designed as the preserve of a “free” marketplace of ideas where pundits, commentators, columnists and advocates duked it out, debating the great issues of the day. Italian Journalist Giuliana Sgrena became an icon in Iraq, a role model of a caring journalist of conscience kidnapped by parties unknown. He plight mobilized the people of Italy with virtually the whole county demanding her release. In response, Italy dispatched an intelligence agent to find her and negotiate her release. Miraculously, he did, but as fate would have it, he was killed by US soldier suspicious of his car, which raced through, they say, a roadblock on its way to the airport. As bullets whizzed, he protected her but gave up his life. With CNNs Eason Jordan silent, or silenced, the right brain of the blogosphere has nailed a new media scalp to its belt. Mr. Jordan, who had been with CNN for 23 years, said during the World Economic Forum in Switzerland that a dozen journalists covering the war not only [had] been killed by U.S. troops in Iraq but they had in fact been targeted, according to press accounts. Mr. Jordan quickly tried to back off his statement, but the reverberations led to his resignation. Now the issue he raised seems destined to disappear, with many believing that since he didnt offer backup, there is nothing to the story.Not true. Where was the press when this was going on? Perhaps now that the Gates have festooned themselves across New Yorks Central Park, we can bid adieu to the use of that term to connote political scandal. After Watergate begat Contragate, we have had a cloned procession of almost obligatorily named outrages. There was Filegate, Monicagate and most recently, we watched Memogate morph into Rathergate. Now theres Gannongate. It's time to close the door on further uses of this metaphor because gates usually open and close but these tend to have become a permanent feature of our political landscape, more revolving than alarming. Did US military kill journalists? When Dan Rather was caught in a crossfire after the expose of a dodgy document used in a TV report, there was an undercurrent of sympathy based on the widespread feeling that the questioning of President's Bushs military service was basically true. Sadly, it didn't seem to matter. The story flamed out along with much of Rathers reputation. No media outlets had the guts to pursue it. Now, we have a new case of demolition by media in the shattered career of CNNs Eason Jordan. There was no shortage of enthusiastic prospective jurors in Santa Maria, Calif., for what promises to be the trial of the century for their town and lives. Many are farmworkers, people picking grapes and strawberries in the hot sun. No wonder the prospect of sitting in judgment on multimillionaire Michael Jackson in an air-conditioned courtroom is so attractive, and the longer the better. The hot lights of media attention are seductive, something many long for. Look, Mom, Im on TV. Will the inaugural protests be covered? Some of us are old enough to remember that bright day in January 1977 when Jimmy and Rosalyn Carter got out of their limo and strolled down Pennsylvania Avenue to the White House. We remember it now with nostalgia because that more hopeful American moment is long gone. Now we have elections deemed brief accountability moments and a garrison state to insure the trains of social order run on time. Homeland security? Homeland insecurity is more like it, as new state of the art police state tactics are introduced to protect the president from protesters who plan to try to give his Administration as hard a time as they can. As soon as Dan Rather publicly admitted that documents cited in a high-profile story on 60 Minutes could not be substantiated, rumors flew that he was a goner. After a decent interval, the controversial anchor announced his retirement as anchor of CBS Evening News. (He will continue to report for 60 Minutes Sunday and Wednesday editions). He took the fall. TV journalism can be unforgiving to those who fabricate documents, stage news or make errors that embarrass the network overlords. But Rathers crime was a mere misdemeanor compared with a felony later admitted by presidents of the Big Three news networks. The lead story from Aceh in todays Washington Post is vivid: The subhead offers its vantage point, Above Indonesia: LAMNO, Indonesia, Jan. 4  From the skies above Acehs devastated western coastline, no sign of civilization remains except for the barren concrete foundations of houses sheared clean and wooden debris scattered like multicolored confetti . . . The line between life and death was evident Tuesday looking down at the countryside from one of the Seahawks . . . It is colorful writing and graphic but also totally inadequate to the task of helping us understand what is happening on the ground in the catastrophe that has struck the region with a force of biblical proportions.